This summer, hundreds of community members will shine on stage — many for the first time — alongside professional performers in William Shakespeare’s As You Like It. This is part of Public Works Dallas, a partnership between AT&T Performing Arts Center, Dallas Theater Center, and Ignite/Arts Dallas at Southern Methodist University Meadows School of the Arts. 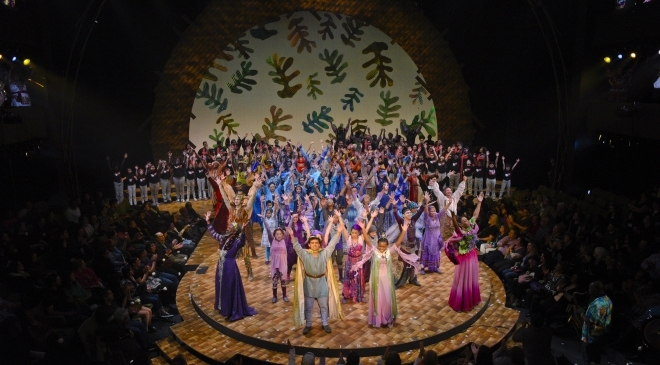 Dallas Theater Center produces the program, recruiting most of the cast from five community partners: Jubilee Park and Community Center, Vickery Meadow Learning Center, Bachman Lake Together, Literacy Instruction for Texas (LIFT), and Dallas Parks and Recreation. The program is modeled after the Public Works program created by The Public Theater in New York City. It began in Dallas in 2017 with Shakespeare’s The Tempest followed by The Winter’s Tale last year. Click here to learn more about Public Works Dallas.